Why is this story important? SheKnows.com, which is one of the U.S.A.’s leading sites catering to women, has been in business since 1999, claiming 50 million visitors monthly to its website. Sponsors have included the likes of Panera Bread Company, Unilever, Johnson & Johnson, American Girl, Barilla and others (Panera announced their decision to pull advertising from the site following the news). Thus, the revelations about click fraud at a large and well established online publisher is troubling on a number of fronts. One, we should all take umbrage at the fact that a supervisor at a publisher (or any organization for that matter) is instructing its employees to conduct themselves in an unethical manner. This raises a serious question, “Were these the actions of a rogue editor or symptomatic of the culture of this particular organization or of online publishers in general?” Secondly, the fact that the actions encouraged were intended to defraud sponsors and that they caused economic harm to advertisers on the site is amoral and borders on criminal. Finally, the click fraud was never detected. The fraud came to light only after internal memos were leaked. In fairness to SheKnows.com, they have dealt with this issue in a professional and contrite manner and if the click fraud was solely due to the actions of two misguided editors, then they, like their sponsors, are victims as well. This scandal comes at an interesting time for the online advertising industry. It is true that online media continues to increase its share of advertiser spending, with growth rates that have far surpassed those of traditional media channels. In fact, according to eMarketer’s January 2012 survey, online media spending in the U.S. is forecasted to top $39 billion in 2012, more than magazine and newspaper advertising combined. However, there remain challenges and questions that the online industry must face as it reaches maturation, ranging from declining click rates to attribution measurement to legislative challenges to the industry’s right to self-govern. So how does this impact advertisers? In short, caveat emptor. With advertisers eschewing investments in traditional channels to fuel spending in online media, including many unmeasured media tactics such as search engine marketing, online video and some forms of social media, there are risks. The risks are in the form of a lack of advertiser transparency and declining performance levels due to increasing ad clutter and consumer ad avoidance behavior. It is estimated by ClickZ that click through rates (CTRs), one measure of online ad performance, range from less than .05% for online display ads to 1.0% to 7.0% for search. It is these lackluster CTRs that provide unscrupulous players the incentive to perpetrate click fraud. The question to be raised is: “Who is safeguarding the advertiser’s online media investment?” As referenced earlier, the SheKnows.com click fraud was not uncovered by the Interactive Advertising Bureau or by the advertising agencies for the sponsors on the site, nor by 3rd party ad servers or ad networks nor by the client-side digital marketing teams for those advertisers. The truth is, if not for a disgruntled employee who leaked an internal communique the fraud would have gone undetected. It is for this reason that online advertisers should consider engaging an independent auditor to assess agency and publisher contract compliance, review buying processes and controls, conduct an online billing reconciliation and audit the performance of their media investment in this area. 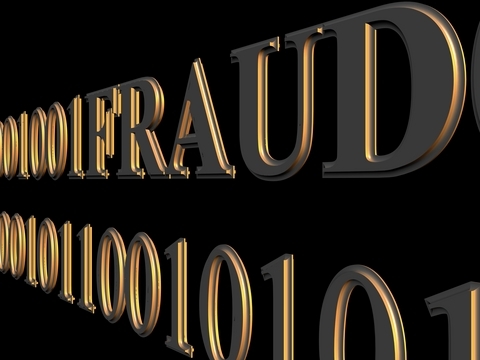 Interested in learning more about the SheKnows.com click fraud? Check out AdWeek’s feature story. If you would like to sign up for a complimentary session to discuss the benefits of a 3rd party digital media audit, contact Cliff Campeau, Principal at Advertising Audit & Risk Management at ccampeau@aarmusa.com to schedule a time convenient for you.